The Boxing Day Tests at Melbourne, Centurion and Christchurch brought down the curtain on another eventful year for Test cricket. 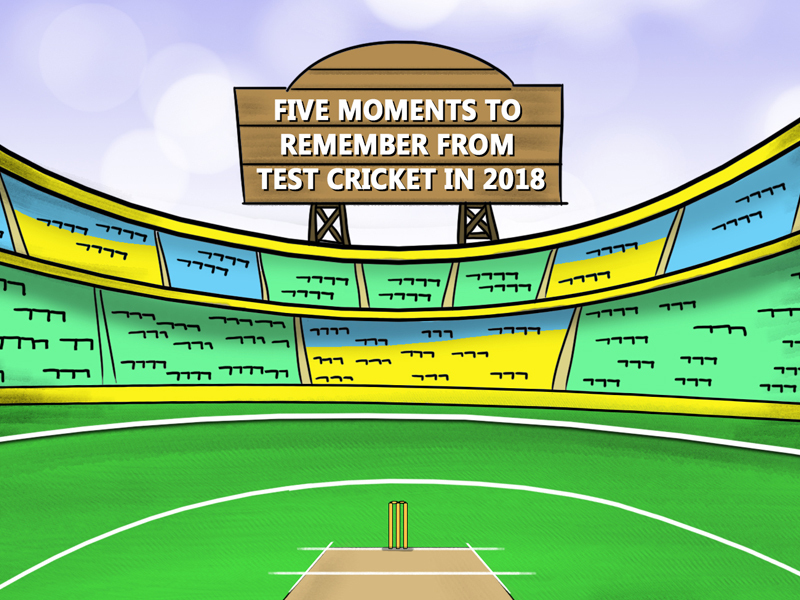 A total of 48 Tests were played in 2018, which will be remembered as a special year, for two new teams entered the Test family. Besides, there were plenty of moments that reminded us about the enduring charm of the five-day game. As we come to grips with 2019, here is a look back at the best from the previous year’s Test action. Since their readmission in 1991-92, South Africa had failed to win a Test series against Australia at home in seven attempts. The Proteas’ quest to rectify this anomaly got off the wrong foot, as they went down by 118 runs in the first Test of the four-match series at Durban. But they bounced back in style at Port Elizabeth, where a sublime 126* from AB de Villiers and a haul of 11/150 (5/96 and 6/54) from the exciting Kagiso Rabada set up an equalising six-wicket victory. With the series locked at 1-1, the second half promised to be a humdinger. Unfortunately, the third Test at Cape Town plunged into controversy after the Australian trio of captain Steven Smith, David Warner and Cameron Bancroft ended up being banned on account of ball-tampering charges. This fracas overshadowed a commanding display from the hosts, who rode on Dean Elgar’s first-innings 141* and their charged-up pace battery to romp home by 322 runs. The beleaguered Australians took the field in the final Test at Johannesburg under Tim Paine. Aiden Markram (152) and Temba Bavuma (95*) powered South Africa to 488, a total that yielded a lead of 267. Captain Faf du Plessis piled on the misery, stroking 120 in the second innings. Chasing 612, the visitors were blown away for 119, with Vernon Philander taking 6/21. South Africa’s winning margin of 492 runs was their highest ever, and the fourth-highest overall. The Village in Malahide, around 16 kilometres north of Dublin, was the stage for one of the most significant events in Irish sport, as it played host to Ireland’s first ever men’s Test match. The Irishmen, led by William Porterfield, faced Pakistan in this historic one-off fixture, and despite being made to follow on, gave enough evidence that they belong to the Test level. After the first day was washed out, Ireland’s seamers reduced Pakistan to 159/6, much to the joy of the crowd. Debutant Faheem Ashraf (83) tilted the scales towards Pakistan, enabling a declaration at 310/9. In reply, Ireland could never really recover from a woeful position of 7/4, and were bowled out for 130. But they showed great resolve through a commendable fightback in the second attempt. Openers Ed Joyce and Porterfield put together 69, before a collapse saw the score stumble to 157/6. Kevin O’Brien, who had top-scored in the first innings with 40, stole the show thereafter. O’Brien walked in at 95/4, and went on to become Ireland’s first Test centurion during a seventh-wicket stand of 114 with Stuart Thompson (53). His 118 pushed Ireland to 339, giving them a fighting chance. When Tim Murtagh and Boyd Rankin had Pakistan reeling at 14/3 in their 160-run chase, the unthinkable was very much on the cards. However, Imam-ul-Haq (also on debut) struck a calm 74*, and along with Babar Azam (59), steered them to a five-wicket win. Just a month after Ireland’s inaugural Test match, Afghanistan were welcomed to the fold as well, taking the number of Test nations to 12. The fact that Afghanistan were in Division Five of the World Cricket League just a decade ago made their rise to Test status one of the most astonishing success stories in sporting history. Moreover, they were pitted against India, the top-ranked Test side, in the landmark game that was held at the Chinnaswamy Stadium in Bangalore. It turned out to be a lopsided affair that lasted two days. Shikhar Dhawan (107) became only the fifth batsman to score a Test hundred before lunch on the first day, and his opening stand of 168 with Murali Vijay (105) laid the base for India’s 474. Pacer Yamin Ahmadzai made quite an impression, taking 3/51 while also being the most economical bowler. Afghanistan underwent the ignominy of being dismissed twice in a day (for 109 and 103), but the margin mattered little. Coming into their two-match series in Bangladesh, Zimbabwe had won an overseas Test only twice in their history. The first Test at Sylhet saw them post a competitive 288 after electing to bat, thanks to fifties from skipper Hamilton Masakadza (52), Sean Williams (88) and Peter Moor (63*). Pacemen Tendai Chatara and Kyle Jarvis then had Bangladesh tottering at 19/4. From thereon, the Zimbabweans always held the upper hand, and armed themselves with a lead of 139. Bangladesh were ultimately set 321, and at 56/0, they were not out of it yet. But this time the spinners Sikandar Raza and Brandon Mavuta (4/21) took centre stage as they bowled the Chevrons to a highly satisfying 151-run win. This gave Zimbabwe a golden chance of achieving what England and Australia could not in the last two years – a series win in Bangladesh. However, they had to be content with a drawn result, as the Tigers clawed back to win at Dhaka. The first week of December saw New Zealand break a 49-year drought in the United Arab Emirates, as they won an away series against Pakistan for the first time since 1969-70. Pakistan had themselves to blame in a dramatic first Test in Abu Dhabi – chasing 176, they were well on course at 130/3, before succumbing to debutant left-arm spinner Ajaz Patel (5/59) en route to a four-run defeat. They secured an innings victory at Dubai to ensure a decider, also at Abu Dhabi. Leg-spinner Yasir Shah, who would finish the series with 29 wickets, had New Zealand in trouble at 72/4, before captain Kane Williamson (89) and wicketkeeper BJ Watling (77*) combined to carry the total to 274. Trailing by 74 on the first innings, New Zealand were again under the pump at 60/4, and once again, Williamson (139) led from the front, this time with Henry Nicholls (126*) for company. 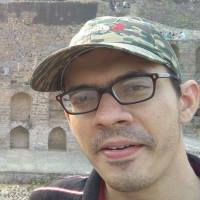 A listless Pakistan disintegrated for 156 to lose by 123 runs.